ID Cards Maker - Corporate Edition provides a complete solution to design different types of ID cards such as Employee ID card, Student ID card, Security ID card, Visitor ID card and many other cards using image designing tools. 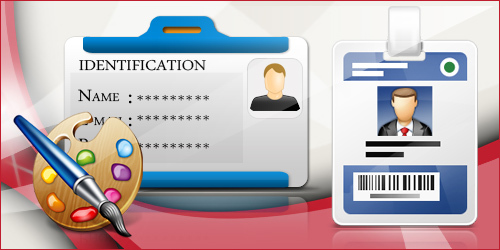 Software facilitates users to export designed ID cards in various file formats including PNG, JPEG, BMP, PDF etc. 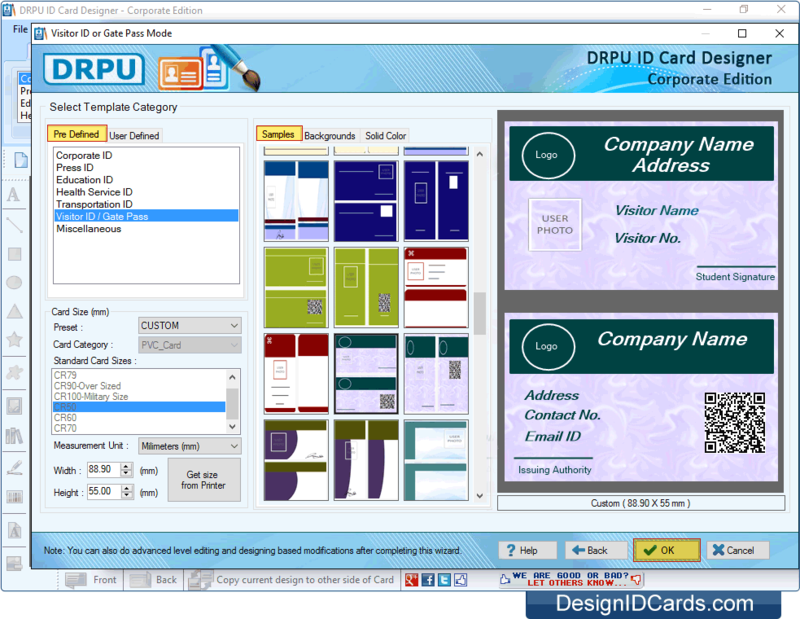 ID Card Maker tool supports Live Group and Batch Processing mode for ID card designing of multiple people. Software provides facility to capture image using camera setting option. Facilitates to generate Visitors ID card and Gate Pass for the visitors. Software has option to crop a single or multiple images for ID card. Provides facility to export your designed ID card as images, pdf file format and as a template. Software provides option to copy current design of ID card to the other side of Card. Select Template Category, choose Sample and Card Size for your ID card. Generate multiple copies of ID card with different barcode and text value. Facility to save created ID cards in (.idd) file format. Software provides inbuilt email setting option to send designed ID card at particular email address. Generate ID cards using Text, Line, Rectangle, Ellipse, Triangle, Star, Symbols, Signature, Barcode and other image designing tools. Software provides advanced print setting option to print designed ID cards.